Whether you are an older individual yourself, or the caregiver or loved one of an elderly person, you likely find yourself in need of reliable, trustworthy community resources on a regular basis. If you live in or around the Beverly, Massachusetts area we would like to help you find much needed services, advice, and support by providing the following community resources. Emergency numbers are also important to have handy, particularly if you are a senior yourself, or are caring for one, as injury and/or illness tends to occur more frequently as we age. Beverly Hospital – (978) 922-3000 offers routine medical care as well as emergency care. Colonial Gardens Gracious Retirement Living (978) 712-0972 retirement living community with on-site management, home cooked meals, scheduled activities, and transportation for residents. Massachusetts Adult Protective Services Program – (800) 922-2275 receiving and investigating reports of elder abuse, and for providing needed protective services to abused elders when warranted. Eldercare Locator – 800-677-1116 a public service of the U.S. Administration on Aging connecting you to services for older adults and their families. Essex County Assistance Programs – offers contact information for assistance programs in the area. 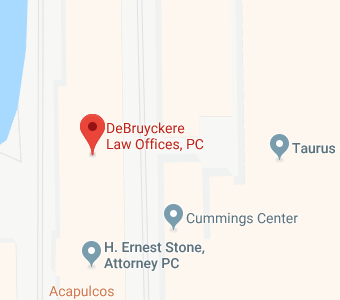 If you have additional questions about elder law legal matters, contact the experienced Massachusetts elder law attorneys at DeBruyckere Law Offices by calling (978) 969-0331 to schedule an appointment.